How can I recover my data? Both services involve visiting your house but we DO NOT charge a call out fee within our standard coverage area. Come to your house at a time that suits you. Diagnose the problem and advise of any further costs. Obtain and install the parts. If parts are required it may take longer than 24 hours to return your PC. Return and reinstall your PC. The follow exclusions apply to the standard service. The cost of any hardware or software required for the repair. Any additional supplies required such as, USB cables for printers, ink, video cables, etc. Our premium service covers the standard service offering but without the exclusions. In this instance we always provide a fixed quotation before we start work. So if you do need more than one device configured, like a complete upgrade, or require us to supply any equipment then this is the service for you. Call us to discuss any upgrade or installation requirements you may have. Our computer repair services are based in Basingstoke and cover everything you need to get your Computer or Laptop up and running again. Software – usually caused by data corruption or driver issues. Hardware – these failures will normally require a replacement part. The difficult part is finding what is wrong and fixing it. We have over 20 years experience in fault finding these exact issues so are confident we can get you working quickly. In some instances we have take you computer back to the workshop. We aim to get your computer back to you within 24 hours at no extra cost. Computer Not Starting – If you computer is completely dead or will not boot because it keeps restarting then call us now. These are common issues that we can resolve quickly to get your system back to perfect health. Computer Crashing or Freezing – Does your computer crash or freeze in the middle of an important document? It may be a hardware conflict causing the problem or possibly your operating system has become corrupt. It may simply be a driver that needs updating. Whatever the problem, call us today as we can help. Computer is Slow – Probably the biggest issue we deal with is a slow computer. 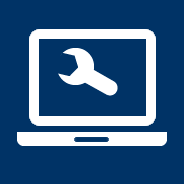 Our System Health Check service gives your PC the attention it needs to once again allow you to work at peak performance. Software Problems – If you are having problems installing software or maybe you have installed software that has caused conflicts with existing software. We can diagnose and fix the cause of your problem. Hardware Failures – We can fix many type of hardware failure including processors, memory, motherboards, hard drives, power supplies, graphics and sound cards, modems, CD/DVD drives, floppy drives. We can supply replacements or we can install components, which you have bought. Network Maintenance – Our Home Networking Service will give you an experienced engineer with extensive knowledge in the design, installation and configuration of home networks. Either both computer-to-computer and of a home server based system. We can troubleshoot a wide variety of home network related problems. Virus / Spyware Attacks – Virus and spyware attacks are becoming more frequent and more serious. They are one of the hardest computer problems to deal with effectively but we can offer you the professional help needed to clean your computer and to repair any damage it may have done to your system. Just because you computer appears to be dead all is not lost. The most worrying problem you have when your PC fails to start is that you can no longer get access to your data. In nearly all cases we are able to recover data cost effectively with a variety of data recovery tools. Our Data Recovery Service ensure that we use the most cost effective methods to restore your data. Although we are based in Basingstoke we offer IT services to many companies over the UK. Let us be you IT Department. To find out what we can do for you, just get in touch.